Why aren’t we using more hydropower? 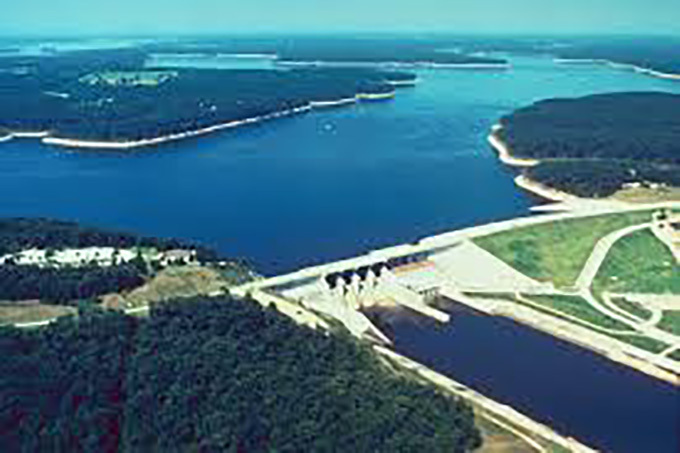 Hydropower is a clean, stable, and proven renewable energy source. So why aren’t we using more of it? Globally, hydropower – which generates electricity through the use of falling water – accounts for 16% of the world’s electricity output, according to the Worldwatch Institute. China is the largest producer, with a total of 19% of its electricity capacity produced by hydropower, while the in the U.S., it accounts for 9% of all electricity production, according to the Environmental Protection Agency. Hydropower fell out of favor in the ‘90s because of the harm it can cause to communities and ecosystems. However, a recent push from the World Bank for more hydropower projects worldwide, especially in developing countries, could lead to a resurgence of hydropower plants, the Washington Post reports. Here are the benefits and disadvantages associated with hydropower. • Clean. Because it generates electricity simply by using flowing water, the generation of hydropower doesn’t produce Co2 or by-products, according to the U.S. Bureau of Reclamation, which runs hydroelectricity plants (all bullet points in this section are from this source). • Efficient. While most other electricity sources waste a lot of energy, almost all of the energy produced by hydropower becomes electricity. Even the most efficient fossil fuels only convert 50% of the energy released to electricity, while hydropower convert more than 90%. • Renewable. Because it’s based on the water cycle, which is driven by the sun, hydropower replenishes itself naturally. • Reliable. Unlike other renewable energy sources like solar or wind power, hydropower is always on, and the flow of water can be adjusted to produce more or less energy depending on demand. • Cost-effective. Hydropower plants have low operating costs and their lifespan can often be extended to up to 80-100 years. • Land use. When a dam is built, it often destroys or displaces communities in the area being dammed. A good example of this is China’s massive Three Gorges Dam, which displaced more than 1.2 million, and flooded 13 cities, and more than 1,000 villages, according to International Rivers. • Ecosystems destruction. Building large dams can destroy local ecosystems, such as fish that swim upstream to mate, according to the U.S. Geological Survey. • Location. Hydropower dams are massive, and obviously require locations where there is a lot of water and land available. The best locations in the U.S. have already been taken, according to the USGS. • Methane. While obviously not as polluting as coal plants, hydropower reservoirs do generate the greenhouse gas methane, produced by rotting organic material in the dammed water. This could account for at least 4% of global greenhouse gas emissions, according to International Rivers. • Earthquakes. The most massive dams can potentially cause earthquakes, depending on where they are built. At the Hoover Dam – which is so massive that it pushed the Earth’s crust down by 8 inches – small earthquakes were observed in the decades after it was completed, according to (pdf) a paper by the Missouri University. Even if hydropower isn’t an environmental silver bullet, however, production is projected to grow up to 75% by 2050, according to (pdf) the International Renewable Energy Agency. If consumption of other resources, such as coal, grow proportionally, hydropower could account for more than 25% of global energy production.